Low Carb Sausage Balls make a quick and easy holiday or game day appetizer. They are great for a low carb diet. 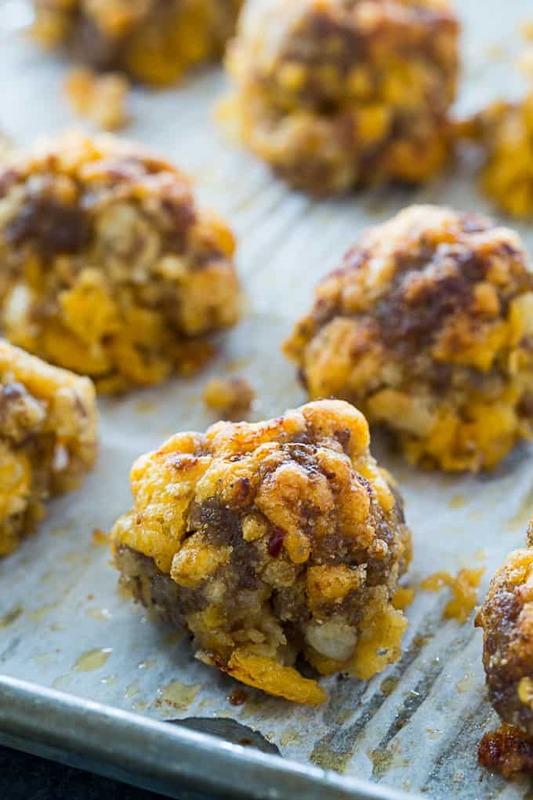 Sausage Balls are the ultimate retro southern appetizer. 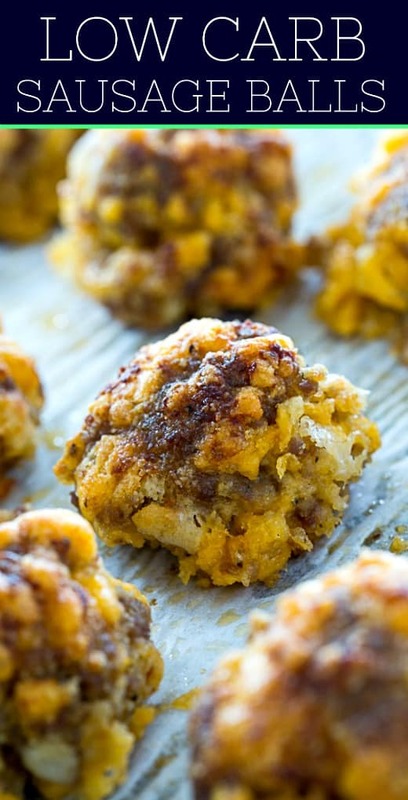 Typically they are made with ground sausage, cheddar cheese, and Bisquick. They are really simple to make low carb by subbing the Bisquick for almond flour, an egg, and some baking powder. I also like to add a little Parmesan cheese and dried minced onion for extra flavor. 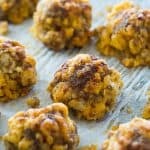 These Low Carb Sausage Balls are wonderfully cheesy. They only take 20 minutes to bake. A small ice cream scoop makes forming uniform sausage balls quick and easy. The sausage and cheese gets wonderfully browned and crispy on the outside and the egg not only helps hold them together, but keeps them from drying out inside. Tip: Sometimes they flatten out a little as they cook. Let them cool slightly and you can shape them back into balls. Leftovers make a great breakfast when served with scrambled eggs and they reheat well in the microwave. Leftovers can also be frozen for later. 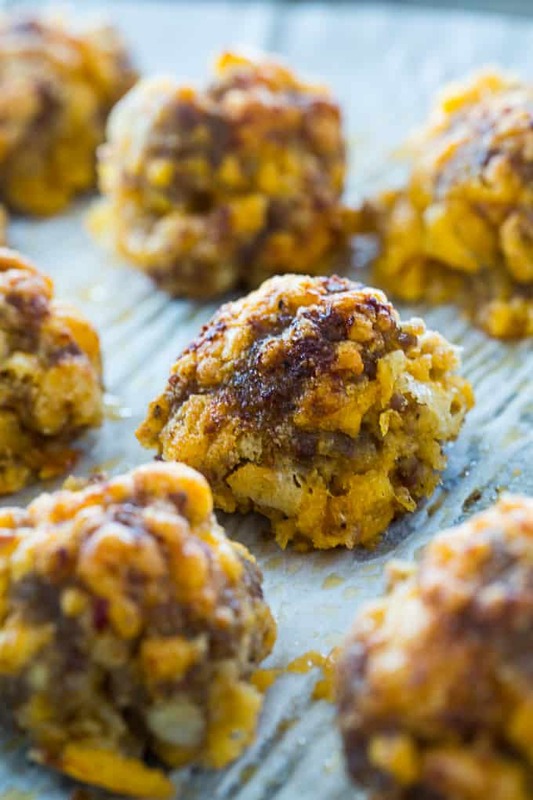 In addition to being low carb, these sausage balls are also gluten-free. Low Carb Sausage Balls make a quick and easy holiday or game day appetizer. They are great for a low carb diet. So cheesy! Place all ingredients in a large bowl. Use a hand-held mixer to mix everything well. Shape mixtue into 20-22 balls, a little smaller than a golfball.